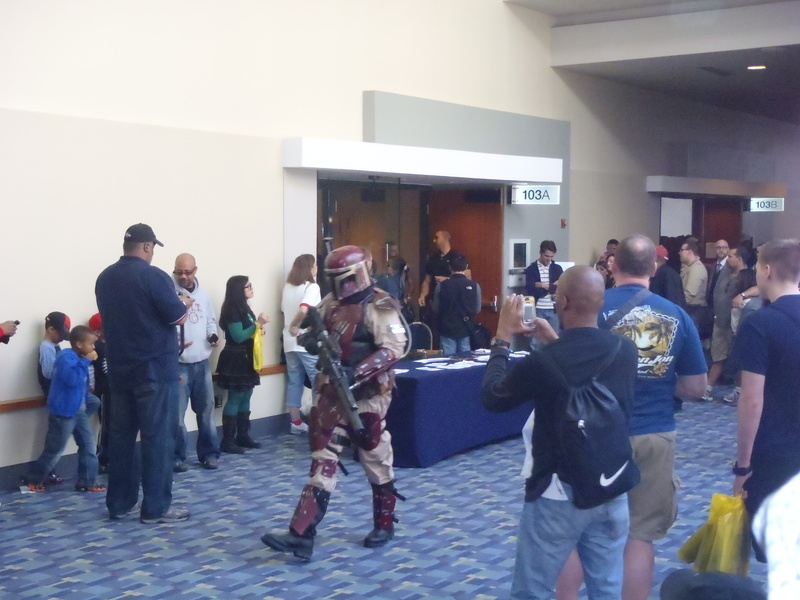 Awesome Con happened this weekend in Washington, DC. Since it was in walking distance of our house, we decided to stroll over and see what it had to offer. 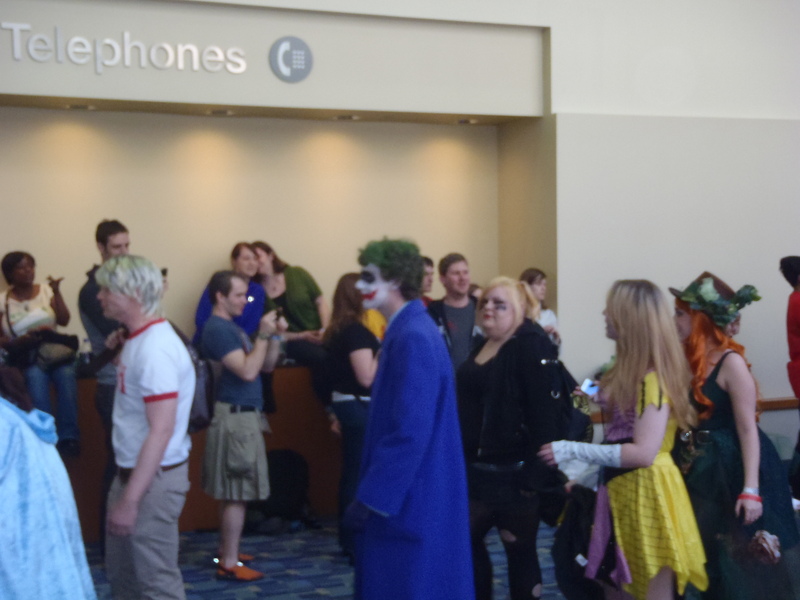 It’s a small con, and the first in DC actually, but over 3,000 came out for it, which was, well, awesome. (Oh, like you wouldn’t have gone there!) I didn’t get to see everything I wanted to, but there were some great moments and great costumes. We couldn’t get into the costume judging but there was a small parade after. 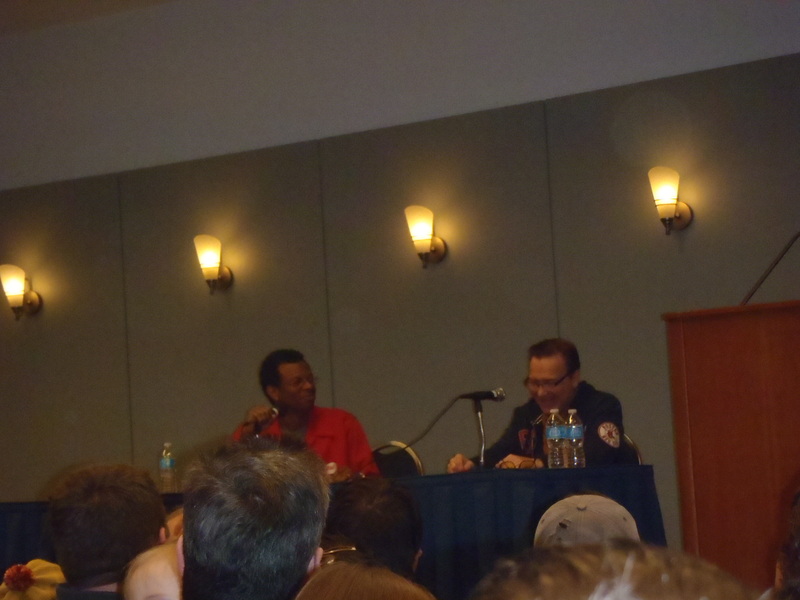 One day two, I ran over early to stand in line to see Phil LaMarr and Billy West discuss Futurama. It was like listening in on a conversation and so funny. If you’re fan of the show, (Hi, me!) it was a fantastically entertaining. The line for this one was huge, and for a few minutes, I cursed my need for coffee hoping it wouldn’t mean I would be standing outside the door while it was going on. I lucked out, making it in the room to one of the few seats left in the back. 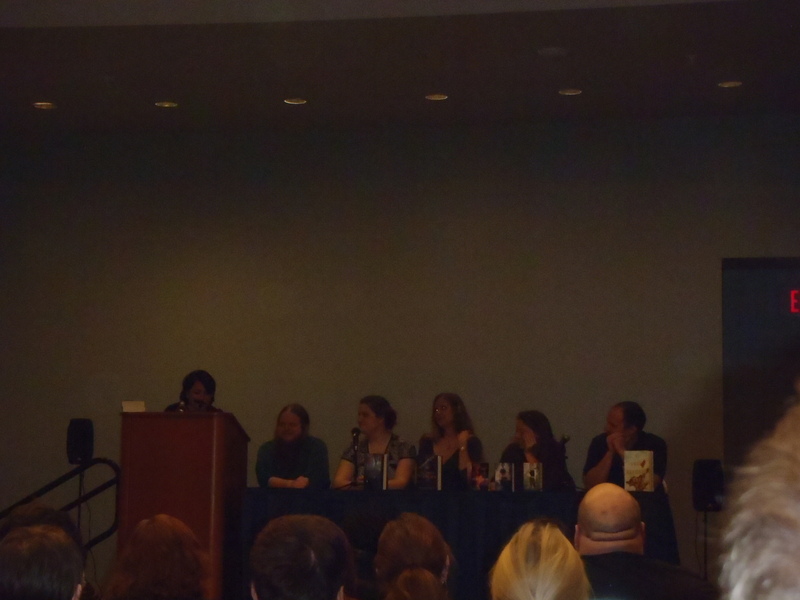 I also dropped in on a session on writing fantasy novels and comics featuring: Justin Jordan, Allison Pang, Diana Peterfreund, Meagan Spooner, Tom King, and Alma Katsu. It was interesting to hear their take on the genre and how the publishing industry views it. Also, Katsu said her final book in The Taker trilogy is coming out soon. Yay! A few more random pics. Yes, I know I take truly awful photos but there you have it. I may write more about it in the next few days when I don’t have deadlines looming over my head. 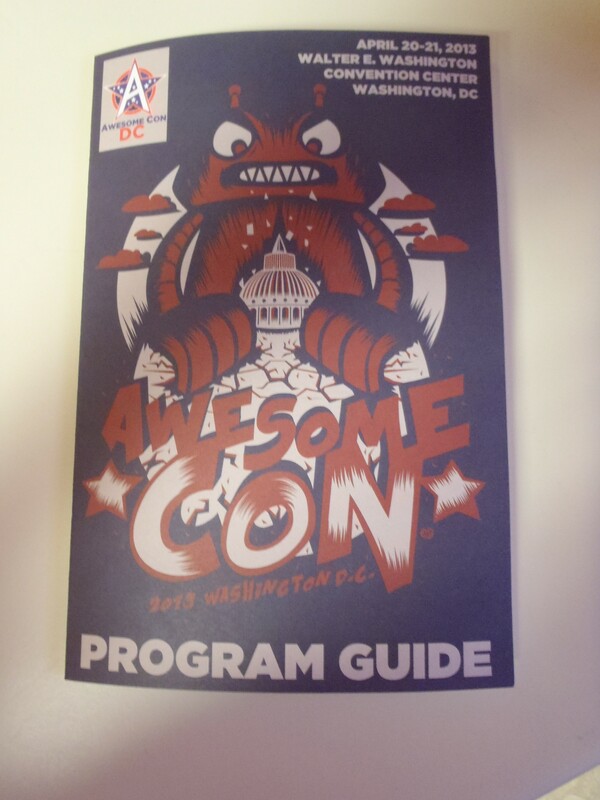 Were you at Awesome Con? Questions? Let me know and I’ll answer as best I can. I’m off to read a bit more of The Shadow of the Sun and questions will be answered tomorrow since that’s read along Q&A day. Be prepared, there are some sexytimes happening. 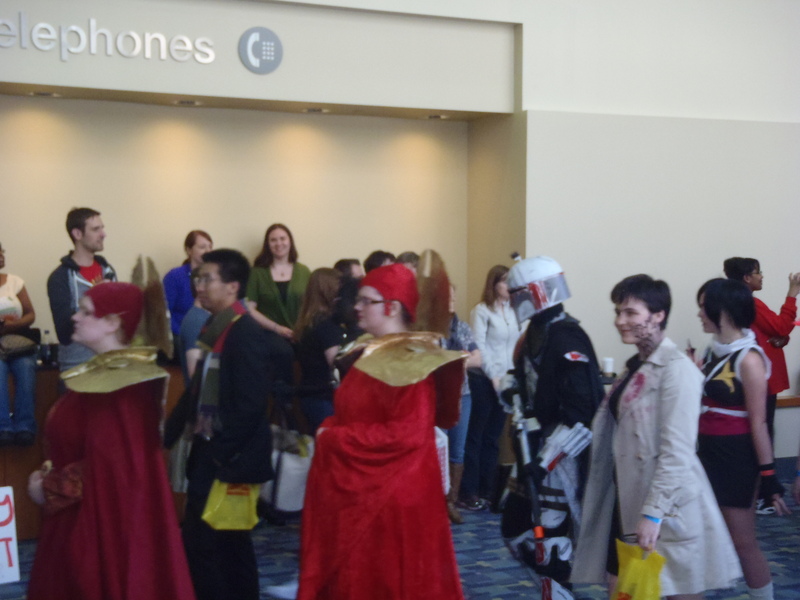 In the third picture, I was the Doctor walking between the two Time Ladies. Could I have a copy of that picture? Sorry for the silence on my end. Out of town and not checking in. I’ll send it over! Have you been to CapClave? that is also in DC and very book-focused. It happens in October, I think. 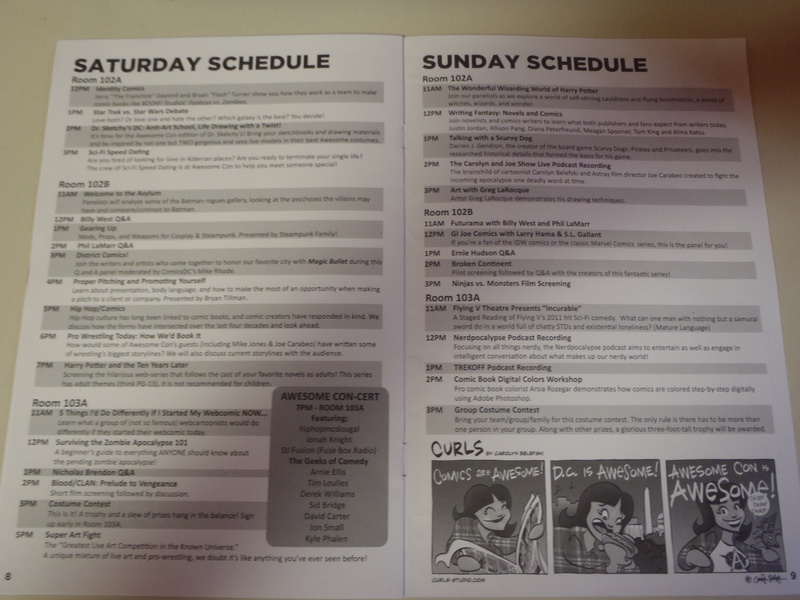 Also Balticon is definitely worth your drive, if it turns out hat you like going to conventions. I wish I had realized you were going to this, I know people who were there. 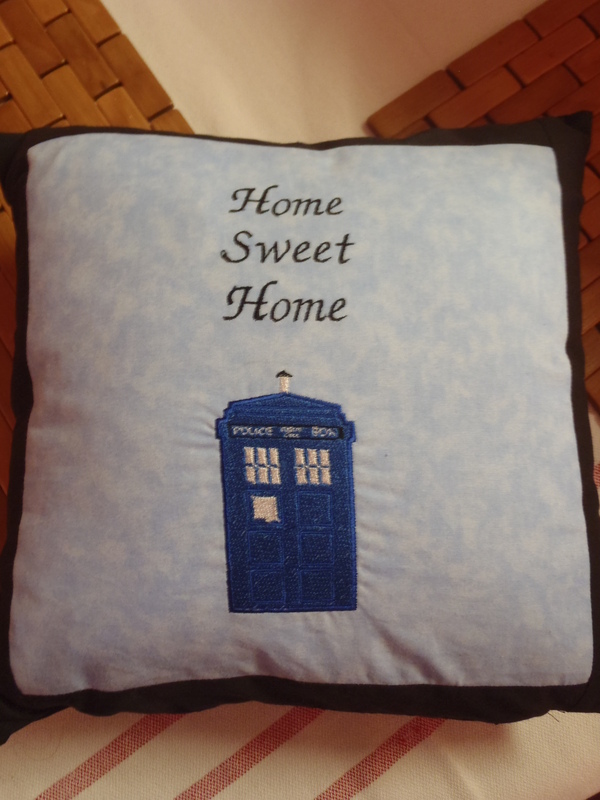 It’s a small, geeky world, right?